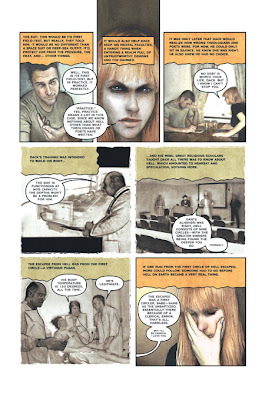 MooreReppion.com Blog: House of Horrors #1 is coming! House of Horrors #1 is coming! 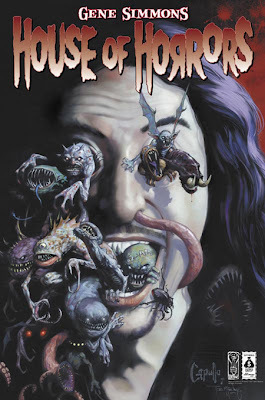 Gene Simmons' House of Horrors #1 will arrive in shops in the USA on Wednesday the 18th of July 2007. Featuring stories from the likes of Dwight L. MacPherson, Thomas Waltz, Chris Ryall and ourselves working with artists such as Jeff Zornow, Grant Bond and Steph Stamb, this is a good old fashioned horror anthology that will hopefully deliver some fresh and unexpected chills. "I had always loved the Twilight Zone. I never missed an episode," says Gene Simmons. "I read Amazing Stories and Analog. 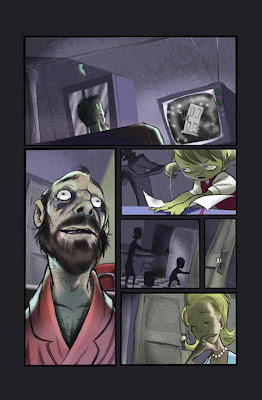 In short, I loved the anthology horror/sci-fi canvas and wanted to re-introduce the format into comic books. [Gene Simmons House of Horrors] is a chance to showcase the best in professional talent, and to introduce new talent, as well. Each story will be written and drawn independently, with wraparound commentaries by myself. The fact that I'm powerful and attractive will only add to the stunning effect of the stories." 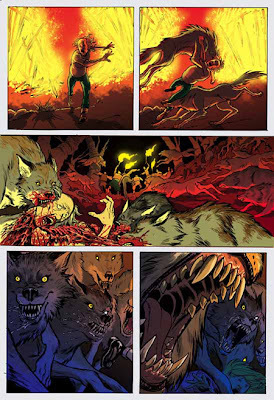 "Into The Woods," written by Leah Moore & John Reppion (Raise the Dead) and illustrated by Jeff Zornow (American Werewolf). "Into The Woods" is somewhere between Midwitch Cuckoos and Grimm's Fairytales. A teenage pyromaniac with mismatched eyes who destroys her village but doesn't know why. We follow the girl as she seemingly condemns herself and her neighbors to a gruesome death. We see wild animals and the forest itself turn on the hapless peasants as they fight for their lives. This is what might happen if Hansel and Gretel stumbled into The Evil Dead... they might need more than breadcrumbs this time. Dack is a new recruit to the Eternal Punishment Border Patrol, but he's got too much to prove to let simple inexperience slow him down. So he's set to be the Neil Armstrong of his generation, only instead of going up, he's headed down - into the newly discovered gateway to Hell. He's sent there alone, because you can't trust a partner once you enter the Stygian depths. There have been doomsday cries of big plans being made in the worst area of Hell, Circle Seven, and Dack's job is to see if a human being can successfully enter-and exit-Hell, and, most importantly, stop Hell from spilling into the real world. In 1991, Desert Storm rages in the Kuwaiti Desert. Iraqi forces, in a desperate attempt to delay the overwhelming Coalition onslaught and turn world opinion against the campaign for liberation, ignite many of Kuwait's oil wells, creating an unprecedented environmental catastrophe in the region. As the Coalition attack surges forward, pushing the Iraqi defenders back into their own country, an elite Delta Force team is sent in to investigate the damage done to the oil wells by the blazing, pollution spewing fires. The team goes in with six men, but only one man returns. 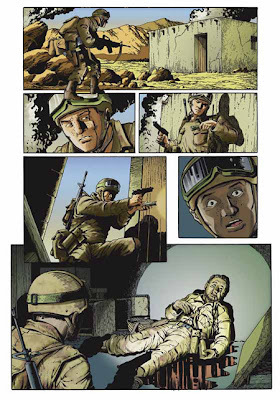 Something massacred the Delta Force soldiers during the recon mission, and it wasn't enemy soldiers. No, it was something far more sinister, vicious and inhuman. It was something straight out of the depths of the earth itself. When Agnes Beecham's 9-year-old daughter Rosa began telling fantastic stories about a visitor from another planet living in the basement, she dismissed them as childhood oneirism. One day, however, Rosa's father Michael decided to step into the basement to investigate and returned a vegetable. The doctors told Agnes her husband had suffered a stroke, but Rosa knew it was the man in the basement who made her father a helpless invalid. In the days that followed the incident, Rosa began drawing pictures of strange flying objects and telling her mother the man in the basement wished to take her to his home -- and then she mentioned the name Aleister Crowley. Jane is an eco-happy entymologist married to Dave, a commercial contractor who builds strip malls and parking decks. While celebrating their seventh wedding anniversary on a picnic in the mountains, Dave goes missing after an argument about his work. 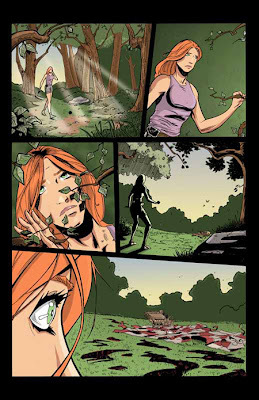 Jane looks for him, only to find him already consumed by the trees and herself the prey of a blood-thirsty tree nymph.